Dr. Kim Byas and Dr. David Fike will be the commencement speakers for the Union Institute & University 2018 Florida and California Academic Center commencement exercises. Dr. Byas will address the Florida diploma recipients on Sunday, July 22, 2018 at 11 a.m. at the Hilton Fort Lauderdale Marina. Dr. Byas is a UI&U doctoral alumnus and a member of Union’s Board of Trustees. He serves as a Regional Executive with the American Hospital Association. Dr. Byas works with hospitals in Illinois, Indiana, Michigan, Ohio, and Wisconsin on federal advocacy, health care system transformation, and health policy, using nearly 40 years of health care leadership experiences in various settings—including direct patient care, public health, health insurance, consulting, and policy. Throughout his career, Dr. Byas has been involved in numerous ambitious healthcare projects. He has written, secured, and managed multiple federal and private foundation grants; evaluated existing programs and developed strategic options; organized and managed multi-county integrated delivery systems in numerous states; established provider networks that include physicians, hospitals, therapists, optometrists, pharmacies, and other healthcare providers; and recruited and trained executive management teams to operate care corporations. 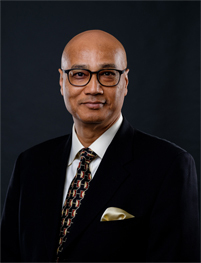 He has also served on the boards of directors for the Asian Health Care Leaders Association, the Chicago College of Performing Arts, and March of Dimes. Dr. Byas received his Ph.D. in Ethical and Creative Leadership from Union Institute & University, Master in Public Health from the University of Michigan, Ann Arbor, and B.A. from Wittenberg University, Springfield, OH. He is a Fellow of the American College of Healthcare Executives. The California Academic Centers commencement speaker is Dr. David J. Fike. The graduation will take place on Sunday, August 19, 2018 at the Redondo Beach Performing Arts Center. 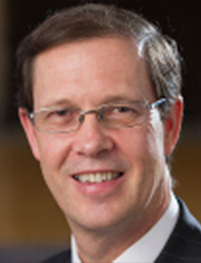 Dr. Fike has been president of Golden Gate University located in San Francisco since 2015. During his tenure, Dr. Fike has introduced new degrees and programs, integrated degree and credentialing programs for greater student flexibility, expanded partnerships with the business community, and implemented strategic priorities and capacity building for continued leadership in the future. He is the former president of Marygrove College, a century-old liberal arts institution in Detroit. Dr. Fike has served as an elected official in Kensington, California, from 1994 to 1998. He has held numerous appointed positions on boards and commissions, including the BioScience Workforce Advisory Team for the City of Oakland, the Life Sciences Task Force of Alameda and Contra Costa Counties, the Bay Area’s Community Capital Investment Initiative, the Community Reinvestment Subcommittee of Alameda County’s Economic Development Advisory Board, the City of Oakland’s Sustainable Community Development Commission, the BayTEC Board of Directors, the Board of Directors of AnewAmerica Community Corporation, and the Board of Directors of the Chabot Space and Science Center. As an economist specializing in capital markets and urban economic development, Dr. Fike has provided consulting services and research in the areas of economic revitalization, sustainable community development practices, capital access in underserved markets, and strategic decision-making. Dr. Fike also served as part of a team sent to Central America to develop a strategic plan for the establishment of a nationally chartered bank to finance infrastructure projects for El Salvador’s cooperative sector. In 1995, Dr. Fike was granted a prestigious Kellogg National Leadership Fellowship. Dr. Fike holds a B.A. in Political Science from the University of California, Santa Barbara and a Ph.D. in Economics from the University of Maryland, College Park. The Florida Academic Center graduation is Sunday, July 22, 2018 at 11 a.m. at the Hilton Fort Lauderdale Marina, 1881 SE 17th Street Causeway, Fort Lauderdale, FL 33316. For more details click here. The California Academic Center graduation is Sunday, August 19, 2018 at 11 a.m. at the Redondo Beach Performing Arts Center, 1935 Manhattan Beach Blvd, Redondo Beach, CA 90278. For more details click here.  Start your new career with a Union Institute & University diploma. Click below.